Many issues can cause or contribute to abdominal pain and getting an accurate diagnosis is the first step in treating the underlying cause so symptoms are relieved. 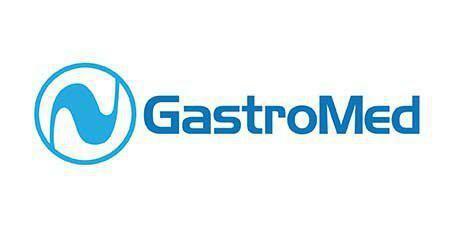 GastroMed uses an array of advanced techniques to provide patient-centered care for patients in and around the Greater Miami, FL, area. Sometimes, belly pain can be accompanied by other symptoms like fever, blood in the stool or rectal bleeding, vomiting or nausea. While an occasional bellyache may be nothing to worry about, persistent or recurrent pain should be evaluated right away. GastroMed doctors perform a thorough evaluation to obtain an accurate diagnosis so they most appropriate treatment can be provided. Diagnosis begins with a review of the patient’s medical history and a discussion of the symptoms, including when they began. During the exam, the doctor will gently palpate (press) the abdominal area to help pinpoint the specific source of pain, and tests and additional exams will probably be ordered which may include blood tests, stool samples, diagnostic imaging like ultrasounds or CT scans, or minimally-invasive exams like endoscopy, colonoscopy, flexible sigmoidoscopy or enteroscopy to evaluate specific areas of the gastrointestinal tract. Treatment for abdominal pain can vary widely based on the underlying cause. Many issues can be treated with lifestyle changes like changes in diet or with medications like antibiotics or medicines to regulate stomach acid production or bowel function. Other problems like hernias, gallstones or obstructions typically require surgery. Many surgeries can be performed using minimally-invasive methods that rely on very small incisions. These methods are associated with fewer complications, less tissue damage, less bleeding, less post-op discomfort and faster recovery compared to traditional surgical approaches that use large incisions. How can I tell if my abdominal pain needs to be evaluated by a GI doctor? Stomach pain - even relatively mild discomfort - can be a sign of a serious underlying problem, especially if the pain is chronic or recurrent, or if it’s severe and acute. The best way to determine if symptoms require medical treatment is to call the office to schedule an evaluation with a member of the GastroMed team.